Portrait Of Furry Cat In Transparent Round Glasses. 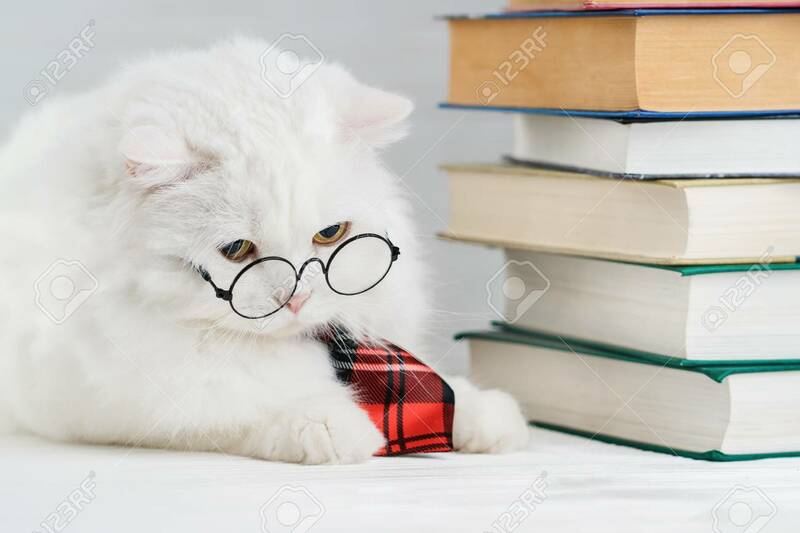 Domestic Soigne Scientist Kitty In Red Tie Poses On Books Background In Library. Education, Science, Knowledge Concept. Studio Photo. Foto Royalty Free, Gravuras, Imagens E Banco De Fotografias. Image 113058779.